TORONTO, Canada — Today, Starbucks Coffee Company announced a suite of enhancements coming to its rapidly-growing Starbucks Rewards loyalty program, bringing millions of members more flexibility and choice starting April 16. Among the major updates will be new options that allow members flexibility when choosing how to redeem their Stars for Rewards in participating Canada and U.S. stores. Now everyone will be able to earn and redeem Stars for Rewards immediately after joining the program, bringing instant value to its growing fanbase. Previously members joined at a Green “Welcome” Level and needed to accrue 300 stars before they could earn towards rewards. The industry-leading Starbucks Rewards program – introduced in 2009 – continues to surge in popularity. Membership has grown 25 per cent in Canada over the past two years alone. Starbucks Rewards transactions accounted for 35 per cent of tender in Canada company-operated stores last year. Members will continue to earn 2 Stars for every $1 spent on eligible purchases at Starbucks stores. And, will now have the option of using Stars to redeem small indulgences sooner or saving for a bigger treat. Previously all items redeemed for the same number of Stars. 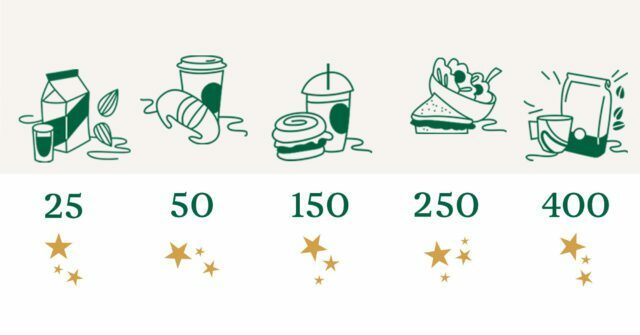 For example, members will have the choice of saving 150 Stars for a handcrafted espresso-based drink or, those who regularly order a brewed coffee, can reward themselves using just 50 Stars1. These enhancements build on existing program benefits members know and love. In addition to earning 2 stars for every $1 spent, members enjoy free brewed hot coffee & tea refills, free birthday treat1, and exclusive personalized offers along with dozens of additional opportunities to earn Bonus Stars through monthly Double Star Days and more. 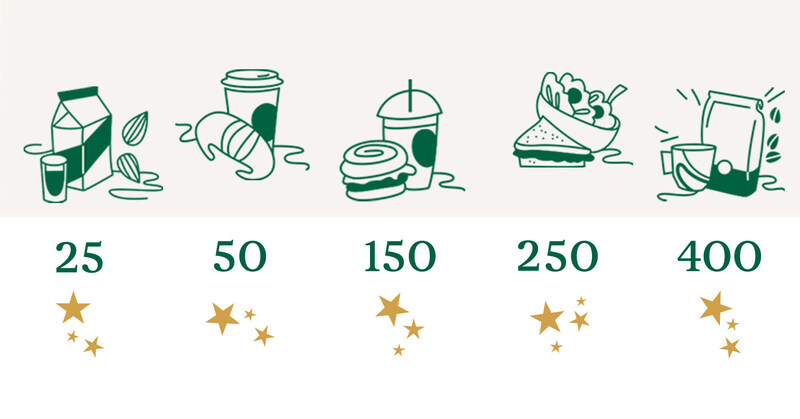 Easier and Faster: All Starbucks Rewards members can begin to earn Stars toward free Rewards from the day they join, bringing immediate value to customers. This change means members can begin earning Stars to redeem a Reward in as few as 2-3 visits.